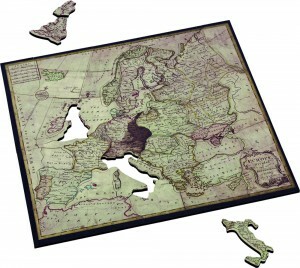 John Spilsbury created the jigsaw puzzle in 1766 as an educational tool for teaching geography. John Spilsbury (1739 – 3 April 1769) was a cartographer and engraver by profession. He served as an apprentice to Thomas Jefferys, the Royal Geographer to King George III. Spilsbury who was born in London mounted a map of the world onto a hardwood board and carved out the shapes of the countries to create what he called a ‘dissection’. These educational tools became highly popular and he went on to create dissected maps of England and Wales, Scotland, Ireland, Europe, Asia, Africa and North America. It became a highly successful business venture. John Spilsbury died in 1769 but his widow Sarah continued with the business, later marrying Spilsbury’s former apprentice Harry Ashby. At this point the puzzles were all hand made on solid wood and were too expensive to be considered a toy. It took over 100 years after they were invented - that these ‘dissections’ began to be known as ‘jigsaw puzzles’ when manufacturers started producing cheaper puzzles for children made from cardboard. 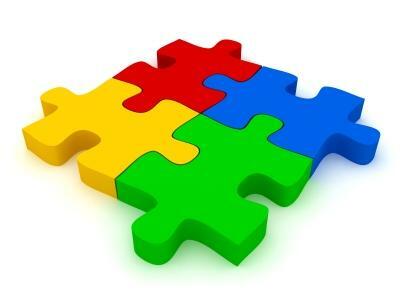 Jigsaw puzzles are still very popular 253 years later providing an educational challenge and pastime hobby for millions of people for a very small outlay. There is now a Spilsbury Award that is presented by the AGPI to renowned individuals who have provided ongoing, lifetime contributions to the development, preservation, and research of jigsaw puzzles.